Soooo, have you checked out the Let's Scrap Hoppy New Year blog hop already??? I have to confess I'm having loads of fun with this one!! There is some really great challenges the DT/CDT ladies came up with! I quickly want to share some of the layouts I've completed for the blog hop. Resolution#1: Scraplift one of the AMAZING layouts in the Let's Scrap gallery. When I saw Betty's Challenge I immediately knew which layout I wanted to scraplift. It's from a friend of mine, and she's one very talented lady. 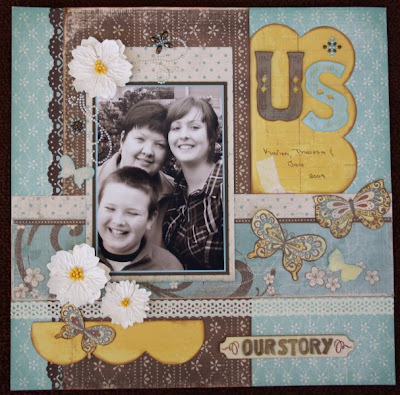 I chose to scraplift this amazing layout from Karien van der Westhuizen. One of the reason this is such a favorite of mine is because of the K&Company papers Karien have used. I have the same patterned papers and could not figure out a way to make them work for me. And I truely loved how Karien has used them. Here is my layout. As you can see I stuck really close to Karien's original design. Thank you Karien for being my inspiration on this one!! 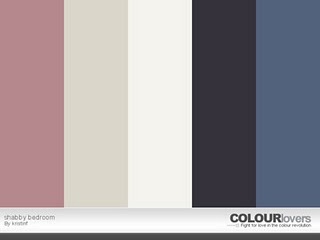 Kristin gave us the following color palette to work with. Isn't it yummy?? I'm totally loving everything pink, so this was a easy one for me. I had some cute pictures printed of my son which I wanted to scrap, but I wasn't sure how he would feel about the pink. I selected a few pp's for him to choose from, and I was quite surprise at his choices!!! This is what he (and I) created! LOVE this picture of Ruan!!!! It was taken the day after we went shopping for some new clothing for him. I realised once again that he's no longer my little boy!! A sad moment for me for sure!! I'll be back tomorrow to share some of the other blog hop layouts so be sure to check back in again!!! Remember, the hop will continue until February 14 @ midnight, so if you haven't started you still have plenty of time!! Come on . . . what are you waiting for?? I like them - both! The first in a very different scale of colours and is warm and family-like. The second; well Basic Grey rocks!